BRYAN EATON/Staff photo. 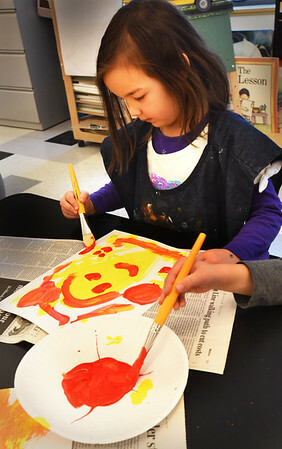 Jessica Heller, 5, uses red paint on a yellow background creating an orange face at the Bresnahan School on Monday morning. The Newburyport preschooler was in Pam Jamison's art class where they were learning about primary colors.